This partner content is by MFS Investment Management. Integrated approach — Incorporating environmental, social and governance (ESG) factors in the fixed income investment process is best done by embedding ESG analysis in the credit analysts’ and portfolio managers’ research process, rather than relying on exclusions or investment decisions based on external providers of ESG ratings. Materiality and time horizon — The complexity of markets requires that investors determine the potential materiality of ESG risks and opportunities as well as the timeframe within which they are expected to have an impact on borrowers’ credit quality. Active management — Due to the changing nature of ESG factors and their effect on investee companies, we believe that active managers are well suited to assessing ESG risks and opportunities. 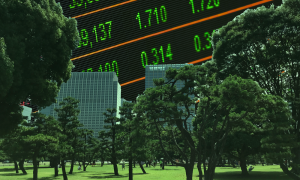 Incorporating ESG factors allows for an understanding of borrowers from the viewpoint of various stakeholders and provides a means of engaging with management. By clicking on the link to view the report, you acknowledge you are an institutional investor or other accredited investor.